With asbestos related cases of mesothelioma peaking in 2015, now is not the time to become complacent. All those with a duty to manage asbestos must ensure that they are fully aware of what that duty entails. This is where BOSS Training can help, with our dedicated UKATA Duty to Manage course. Who will benefit from our UKATA Duty to Manage course? 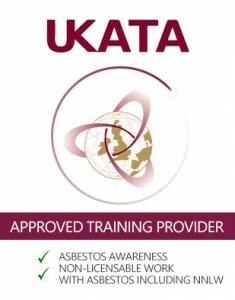 This specialised UKATA approved training module is targeted at managers and owners, supervisors and other duty-holders. It provides essential guidance and knowledge as to the duty to manage asbestos in non-domestic premises as per the Control of Asbestos Regulations of 2012. What does the BOSS Training course involve? This course has been tailor-made as an extension of the more generalised Asbestos Awareness course, providing a firm emphasis on the practical manifestations of the requirements that the duty holder must adhere to in the daily management of the risk of asbestos containing materials. All delegates will become informed on how best to develop, deploy and monitor a successful Asbestos Management Plan as well as implement safe and clear working standards and procedures, emergency protocol and how to assess and grade the condition of asbestos containing materials on site. Call 01422 358184 to speak to a member of our team to find out when you can book your UKATA Duty to Manage training course. Alternatively you can email enquiries@bosstraining.co.uk to find out more information. We have used Boss Training now for over 5 years, i would highly recommend them as a training provider for any of your training needs.